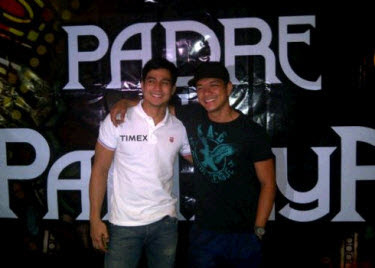 Two of the Kapamilya hunks and sought-after leading men namely Piolo Pascual and Jericho Rosales were reunited in the upcoming teleserye called "Padre De Pamilya!" Piolo and Echo were formerly part of the boy group called The Hunks together with Diether Ocampo, Bernard Palanca, and Carlos Agassi. The group were part of the Sunday afternoon musical variety show "ASAP" in the early part of 2000. They even had a Primetime comedy sitcom in ABS-CBN titled "Bora" in 2004. 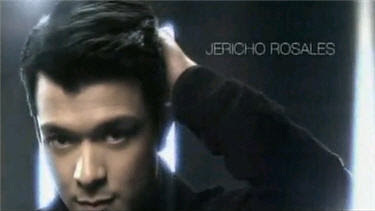 Piolo and Jericho even worked together in the shampoo TV commercial. Now, they are rejoined via this big upcoming TV series on Primetime Bida! Though this is their reunion project, "Padre De Pamilya" will be their first big TV series together! PJ and Echo both shared their excited working together in one TV series. “Masaya ako na naging part ako ng konsepto na ito. Grabe, alam ng management team namin kung gaano namin gusto mag-work, magkasama kaming dalawa ni PJ,” said Jericho. “It’s a blessing to finally, you know, work with a brother. It’s a privilege for us to be part of something so big, something na alam namin na meron kang matututunan about life,” said Piolo. Christopher De Leon and the newest Kapamilya hunk Paulo Avelino join PJ and Echo in this teleserye! Other cast-members in “Padre De Pamilya” include Maricar Reyes, Rafael Rosell, Denise Laurel, Jeffrey Santos and Rey PJ Abellana. The Queen of Philippine Movies Ms. Susan Roces might return to the Kapamilya network and join the cast.